Sand Pebbles is a delightful two story timeshare complex consisting of 49 units: 14 studios, 19 one bedroom units and 16 two bedroom units. 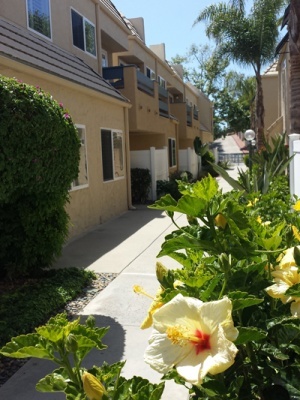 The resort is conveniently located in Solana Beach, approximately one block from the beach and only 3/4 miles from the famous Del Mar Racetrack and Fairgrounds. 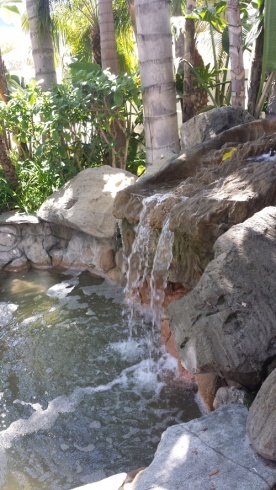 The grounds are beautifully landscaped with unique and exotic tropical plants, a lush fountain area with a tumbling waterfall, assorted palm trees and giant bird of paradise plants. The pool and spa area has chaises lounge , patio dining tables with chairs, umbrellas and two gas-fired BBQ grills. This area is the central focus of the resort where family and friends gather throughout the day and evening to enjoy the mild Southern California beach climate. Check-in on Saturday is 4pm – 11pm and Checkout is Saturday by 10 am. If you anticipate an arrival later than 11pm, please call us at 858.509.8799 to make arrangements to pick up your key after hours. Upon check-in you will be required to leave a credit card imprint as a “security deposit authorization”. The voucher will be destroyed at the end of your stay if all is in order. Please have your vehicle license plate number information available at time of registration and please limit the number of vehicles to one during your stay. No elevators or air conditioning (Fans are provided in all units). No smoking/vaping allowed in ALL units and ALL common areas—including ALL balconies, ALL patios, gazebo area and POOL AREA with the exception of the designated “Smoking Area” located in the south lot. Violation will result in a $250 fee. No pets (no matter how small) are allowed at the resort, with the exception of certified service dogs. are allowed in the spa.